Regarded as one of South Africa’s leading Méthode Cap Classique (MCC) producing areas, the Franschhoek Wine Valley MCC route has been established. 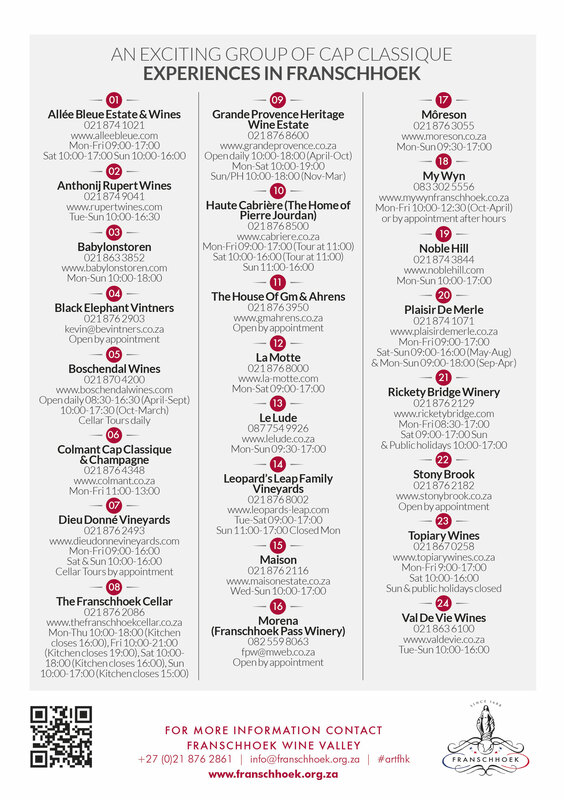 The Valley, renowned for producing outstanding Méthode Cap Classiques, has a total of 24 producers. Franschhoek has been challenging other wine-producing areas in South Africa, with great strides in quality in recent years, and is proud to have many of the most innovative and progressive producers in the country among its wineries. The winemakers responsible for producing these superb MCC’s range from Old World to New World thinking, resulting in a diverse range of wines. The extends from Babylonstoren all the way through to Franschhoek Pass Winery, the home of Morena, giving visitors to the area an all round experience of what Franschhoek has to offer. 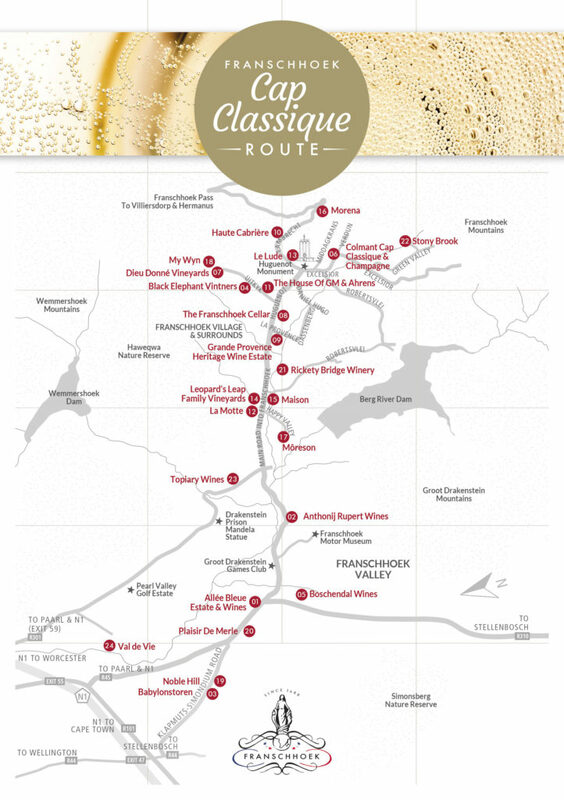 Regarded as one of South Africa’s leading Méthode Cap Classique (MCC) producing areas, the Franschhoek Wine Valley has relaunched its MCC route.